The sweet plinker, now with a threaded barrel. 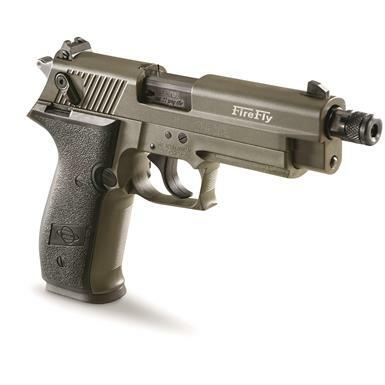 From training a young shooter to plinking at the cabin, there's no better choice than the FireFly. Along with the superior ergonomic grip that's perfectly-sized for smaller hands, the FireFly includes an internal locking device and slide mounted ambidextrous safety…making it a safer option for novices. The threaded barrel accommodates a suppressor, making training and high-volume shooting a little more hearing-friendly. Feels solid, looks great, shoots smooth as silk…and the battle-worn finish just adds to the cool factor. 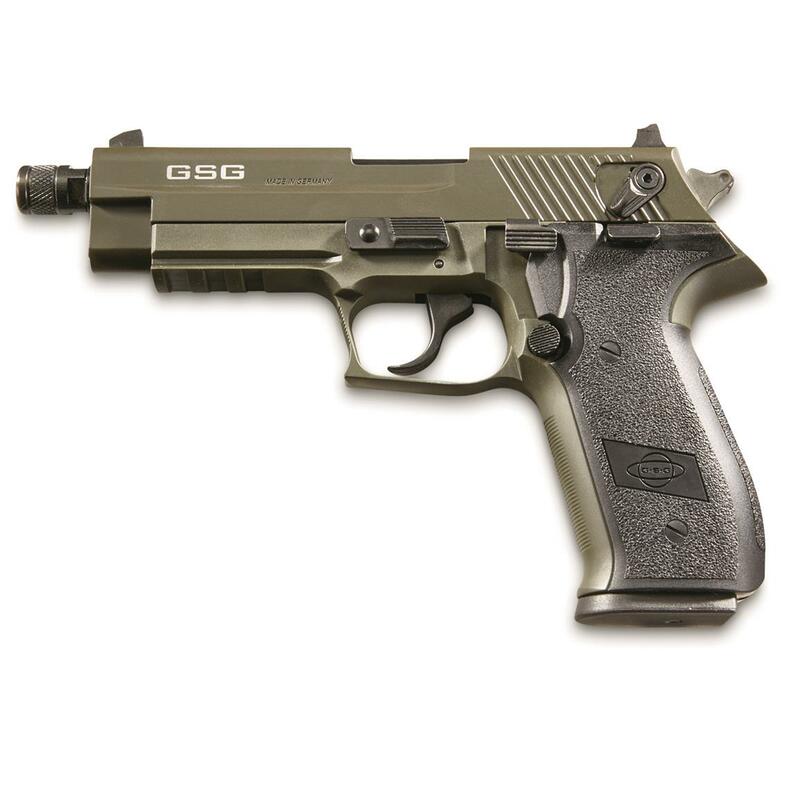 ATI GSG FireFly HGA, Semi-Automatic, .22LR, Rimfire, 4 Threaded Barrel, Olive Drab, 10+1 Rounds is rated 4.5 out of 5 by 4. 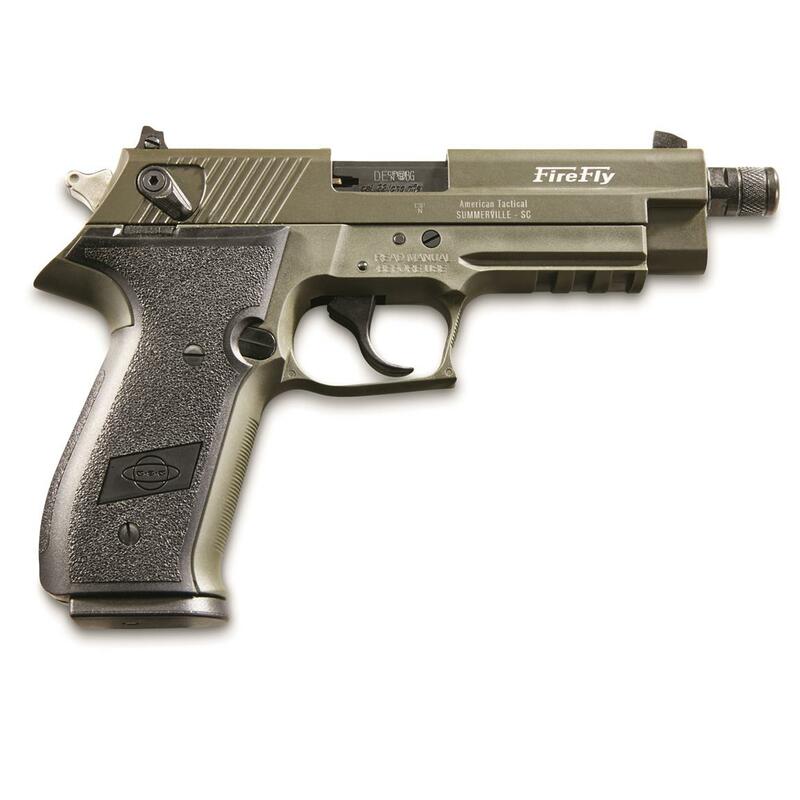 Rated 4 out of 5 by Eddy B from Priced right I haven’t shot it yet looking forward to do that this week, well-built solid the only problem with this pistol is you have to make modifications to make it except a variety of ammo, fast shipping as always thank you sportsman ! Rated 5 out of 5 by Bargain Hunter from On time, on target Completely met expectations. 100 rounds of mini mags and no failures. Be aware that with the safety engaged, the trigger will still pull and the hammer will drop, but a disconnect will prevent the round from firing. Also, the thread protector must be removed (wrench included) from the barrel to field strip the pistol. A 99% Sig at a %50 price. Shipped and received on time. Rated 5 out of 5 by Warpig76 from Great Pistol The ATI GSG FireFly ran great with CCI Mini mags. After I ran 200 rounds I Field-strip and ran a mix bag of Golden bullet, Thunder bolts, Aguila and Blazzers. Had no FTF or stove pipies. Geat buy. Only con is that treaded barrel is not 1/2" - 28 TPI. You would think GSG would change the tread size when SIG dropped the Mosquito. Rated 4 out of 5 by KeyTac from Great value I bought this pistol to use with a .22 suppressor just be aware the threads are M9x.75 will most likely need an adapter for common 1/2x28 threads. Also be aware it only has one 10rd mag included. Otherwise great buy and fed two different brand of sub sonic .22s I have tried so far with no issues.